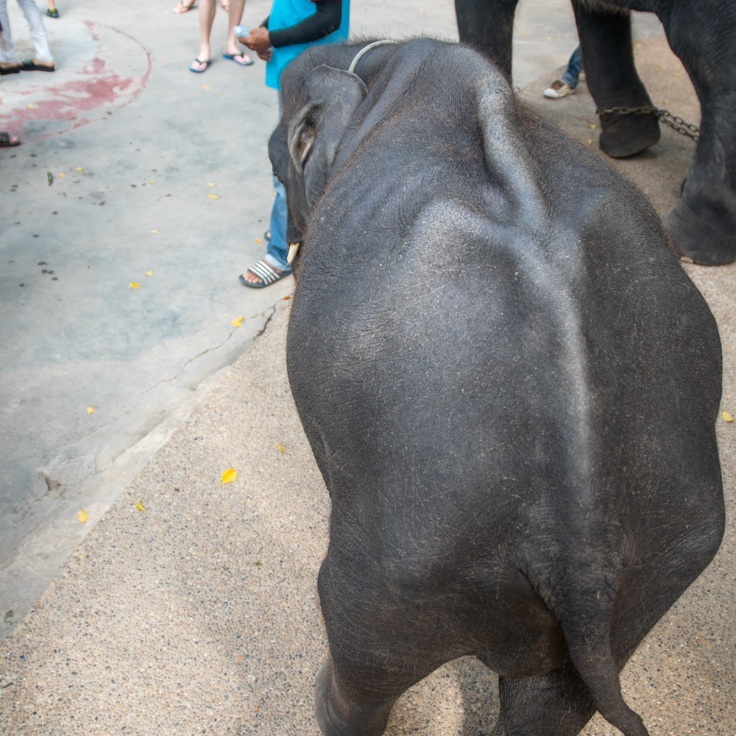 Whilst documenting the animals confined to Phuket Zoo in Thailand, we met a skeletal baby elephant who is forced to “rave” to music, “play” musical instruments, and perform tricks, all for tourists’ entertainment. We were so moved by his plight, that we nicknamed him “Dumbo” and started a petition asking for him to be retired to a nearby sanctuary. We watched as tourists laughed and took selfies, all while this emaciated baby elephant stood with his eyes closed, quietly sucking on his trunk. The cruel life that “Dumbo” is set to endure is heartbreaking, and so we're calling for his release to a sanctuary. We hope that one day soon he can live in a place where he can feel happiness and peace, without the threat of abuse or being forced to perform. 9 April 2019: Phuket’s chief of Livestock Development (DLD) admitted that “[Dumbo] is thin”, but dismissed the cruel performances and signs of distress. He told The Phuket News, “this baby elephant is fine, […] the baby elephant is working”. Officials from the DLD have now launched an investigation into Dumbo’s health. 9 April 2019: 50,000 people speak out for “Dumbo”. 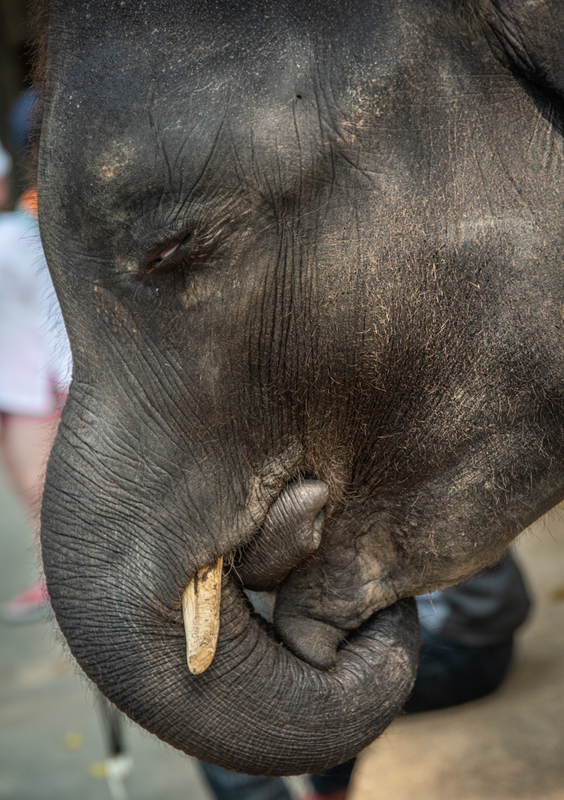 10 April 2019: DLD officials order Phuket Zoo to stop making “Dumbo” perform in tourist shows due to his health. However, they are likely to force him to return to “work” once he has been treated and has recovered. Read more. 14 April 2019: 100,000 people speak out for “Dumbo”. 18 April 2019: 200,000 people speak out for “Dumbo”. The Independent, Mail Online, People, Mirror, The Sun, Metro, UNILAD, LADbible, The Thaiger, News.com/au, NextShark, Herald Sun, Afton Bladet, Niews Blad, la Repubblica, laSexta, Metro Belgique, MAGG, The Phuket News, Cairns Post, Thai Visa News, Phuket Xtra. Please help us to continue our work for animals like “Dumbo”. Your support will help us to continue documenting the stories of those that are usually forced to stay silent.